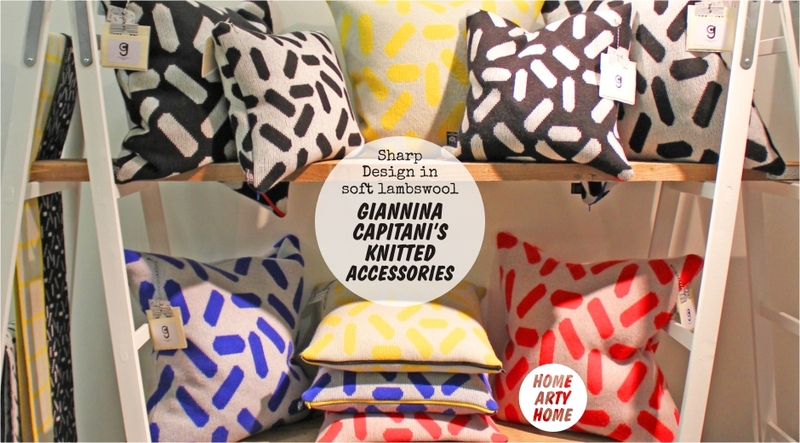 When Home Arty Home visited DesignJunction back in September, Giannani Capitani‘s knitted accessories immediately caught my eye. Bright, fun, and soft (so soft), the collection nods at the graphic designs of the Memphis design group but, to my mind, improves them. I know that the Memphis-look is enjoying a revival but I must admit to not being a fan – it’s too reminiscent of bad 1980s TV titles and Danny De Vito’s ugly house in Ruthless People, but somehow the graphic shapes in the hands of Giannina Capitani and her knitting machine (called Bernard), soften the sharp edges to create stylish and welcoming accessories. I love her cushions in particular which would work well in most rooms, transforming the most dour and minimal of seating into a homely and happy sofa. 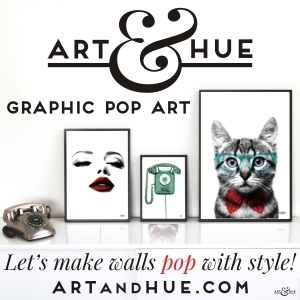 It’s not just Home Arty Home that’s taken notice of the great collection – Giannina’s been shortlisted in the COADG bursary. You can help Giannina to win the amazing prize, which includes a free stand at Top Drawer and a pop-up shop in West Elm, by voting for her before the poll closes on the 29th here. How do you see the range developing? “I am a real home baby. I love being at home, love welcoming people into my home. I think this influences the products I make and the way I make them. Someone recently joked that I don’t just make soft furnishings – they are ‘soft’ furnishings. Finally, are there any events coming up? Visit Giannani Capitani‘s website too see the full collection.